After a rather exotic start in foreign climes not known for their classical music traditions, Emily's musical career followed an otherwise unremarkable start, with inadequate time spent practising several badly-played instruments. Singing, however, seemed the ‘instrument’ for her. With relatively little effort, she received lots of praise. Thus a budding soprano was born. Reluctant to abandon her other talents and interests, Emily pursued a four year languages degree in French and Czech. This gave her voice the opportunity to mature while establishing a solid base for foreign language pronunciation in song. Her year abroad allowed her to experience other musical environments such as fronting a jazz band in Bordeaux and then the flourishing Czech choral scene. 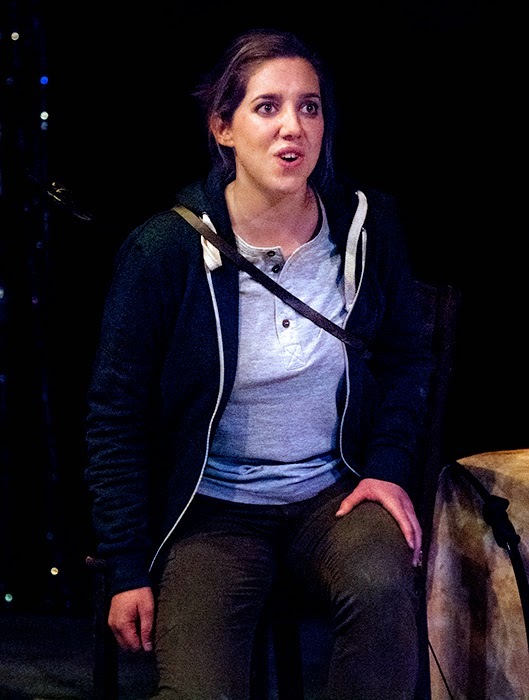 Amidst her many academic commitments, singing remained Emily's true passion. 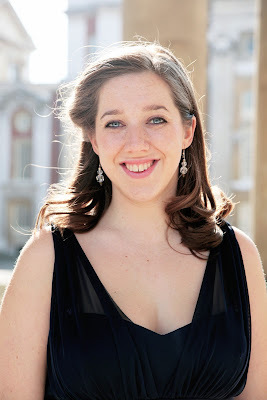 Ready to dedicate her all to her singing, Emily enrolled at Trinity College of Music for intensive postgraduate vocal training with Laureen Livingstone. Much to the shock of the budding soprano, she had to start working really rather hard. At Trinity she excelled, awarded with The TCM Trust Scholarship and The Dame Susan Morden Choral Scholarship at the Old Royal Naval College Chapel. She was also a choral scholar at St. Martin-in-the-Fields. On leaving college she undertook an apprenticeship with The Monteverdi Choir, who have continued to employ her since. Career highlights include being the soprano soloist for the London Handel Festival’s Judas Maccabaeus and for a service at St. Peter's Basilica Vatican City, being soloist for the Monteverdi Vespers with the Greenwich Baroque Orchestra, solo recitals at St. Martin-in-the-Fields, a chorus Furie for the Royal Opera House production of Gluck's Orphée et Eurydice, touring to Germany with the Royal Academy Chamber Choir, performing as part of a quartet at The Two Moors Festival, enjoying the role of Linfea for Hampstead Garden Opera's La Calisto, singing chorus at The Royal Opera House, masterclasses with internationally renowned Ann Murray, Susan Bullock, Jonathan Peter Kenny and Robert Hollingworth of I Fagiolini, appearing in the Wien Modern Festival, regular recordings for the BBC, several Proms at The Royal Albert Hall, an advert for Channel 5 and singing Christmas carols to the Queen’s horses at Buckingham Palace. Emily is devoted to serving her demanding fan base with regular solo and choral performances, which can be heard around London and beyond. She also has several singing pupils. Despite having achieved so much to date, Emily is still at the beginning of her musical career and an exciting future lies ahead.